Are you interested in binary options? Do you live in Australia? Then you might want to read this page. Every country has their own rules when it comes to activities like gambling and finances. On top of that the services, products and providers themselves will vary from country to country. This will (obviously) impact who you should do business with, who the best brokers are. To show you the top binary options brokers available to Aussie traders. To give you an overview of what’s legal in Australia; including the rules companies have to follow in order to offer YOU their products and services. To explain what the ASIC is and why it matters to you. To show you who is licensed and regulated …and …who isn’t. I think we hit the nail on the head. 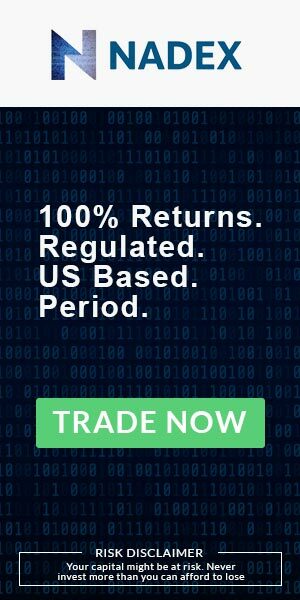 First off – is it legal to trade binary options in Australia? Read the reviews or just sign up – it’s up to you. But if you decide to read the review first, I suggest having an idea of what you want to trade, features you want to use, etc. beforehand so you have an idea of what you’re looking for. Next up – let’s look at how Australia handles licensing and regulation. Australia has one core regulatory commission for financial services and products. It’s called the Australian Securities and Investments Commission – or the ASIC. They regulate financial markets, services and professionals – pretty much anyone – who deals and gives advice in the investment, superannuation, insurance, deposits and credit industries. Make rules to keep the integrity of financial markets. Investigate suspected breaches of the law. Ban people from engaging in providing financial services. The ASIC’s goal is to educate the public, act as gatekeepers and pay attention to the trends taking place in the industry – all the while ensuring licensees meet the standards of the National Consumer Credit Protection Act 2009. But there are two other agencies that play a role in keeping Aussie traders safe. The role of the CFR is to assist with improving the efficiency of regulations and promote the stability of the financial market in Australia. The ASIC is a member of CFR as is the Australian Prudential Regulation Authority (APRA). They regulate the Australian financial services industry. They look over major banks, credit unions, insurance companies and the superannuation industry. You’ll be dealing with at least one – if not all 3 – of these agencies if you want to become a broker in Australia. And only if you can meet certain requirements. Interested in becoming a binary options broker in Australia? There are some requirements you have to meet first. The appointment and ongoing competency key persons listed on the AFS license. ASIC must be notified of any changes to the key persons listed above. Brokers must maintain segregated accounts for client funds. This is to ensure the company is liquid and is able to pay each customer their money back, if needed. At least one of the directors of the company must be an Australian resident. They must maintain a registered office in Australia. Brokers must maintain up-to-date details with the Financial Ombudsman Service and on the brokerage website. So …what brokers meet these requirements now? How do you know if the company you’re considering is licensed and regulated by the ASIC? Chances are they’ll say something along the lines of, Regulated by the Australian Securities and Investment Commission (ASIC), on their website. If they don’t you mind also find the broker listed on the ASIC website. Then I would avoid them. I mean, how can you trust a company with your money if they don’t follow the rules of the jurisdiction they’re operating in?